We’re constantly implementing innovative ways to minimize our environmental footprint through energy efficiency, waste reduction, recycling and conservation, and we encourage our partners to commit to sustainable practices as well. 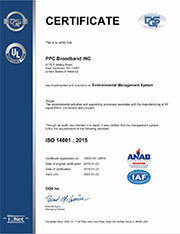 PPC is DEC certified as a low-quantity waste generator at our headquarters in East Syracuse, NY. To achieve this, the DEC requires fewer than 2,000 pounds of waste per month, which we usually do better by generating fewer than 500 pounds per month – and that number is decreasing – due to our recycling programs. Just a few years ago PPC used 100,000 gallons of oil per year for our manufacturing operations. We set a goal to reduce this number and implemented an on-site oil recycling system, cutting down the amount of oil we use to only 3,500 gallons per year. All our scrap metal chips are now spun in a centrifuge to achieve a moisture content of less than 2% by weight. Some of our other efforts include recycling 100 tons of paper and cardboard annually, chipping pallets into landscape mulch, and using reclaimed soap for floor cleaning. At our headquarters, we’re working to improve energy efficiency through HVAC by automating all HVAC controls, and installing new equipment to balance the air flow and optimize ventilation throughout our building. We’ve also improved our energy consumption with the installation of external LED lighting, motion-controlled lighting systems, and low-energy consumption air compressors. PPC has improved its product packaging to reduce the amount of waste for our customers as well. We traded in the usual cardboard cable reel and box for a reusable plastic reel and zippered branded bag. 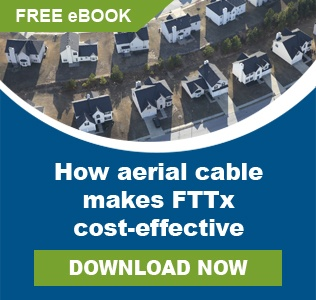 The use of the new Cable Tote eliminates – per reel – 2 cubic feet of cardboard, 2 plastic frames, 4 nylon straps and 20 to 50 feet of cable waste. Since we launched the Cable Tote, we’ve eliminated more than 1.7 million cubic feet of cardboard and 802,000 pounds of plastic. The Cable Tote allows for a reduction in required storage space, both at PPC facilities and at our customers’ locations. Today, 40,000 feet of cable in the Cable Tote can fit in the same amount of space as 27,000 feet of cardboard reel or boxed packaging. 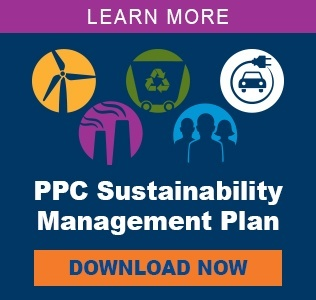 In addition to being environmentally responsible and committed to reducing our global carbon footprint, quality and safety are paramount to PPC. 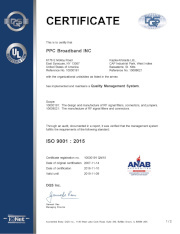 Each of our plants around the world are ISO certified, insuring your quality products are manufactured to the highest standards in the industry.